Devil May Cry 4, featuring the Kai Nero and Dante figure, from Capcom’s mega hit game! PLAY ARTS expanded the range of movement and elaborate molding and double-jointed, and powerful actions! Now you can enjoy a greater sense of dynamism and various accessories! Preorder now at Toywiz Malaysia for RM205 each figure. 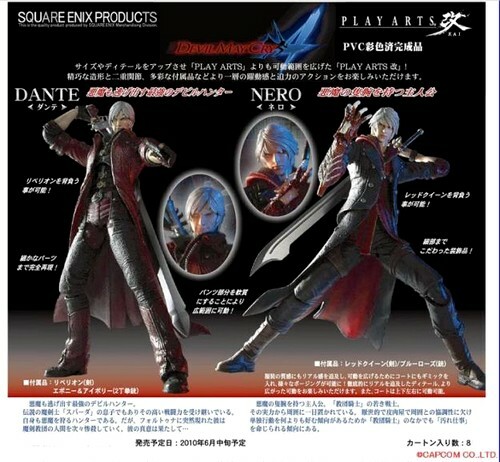 – [Devil May Cry 4] The new hero of [Nero] in [break Play Arts] is appeared in! – Brave face, of course, to pursue realism to the texture of the clothing, like a gimmick and the court put the motion to extend that we can pose! – Pursue the real depth of detail, you can enjoy a more widespread movement. – Back [Red Queen] can be burdened with. The coat can be movable vertically and horizontally. 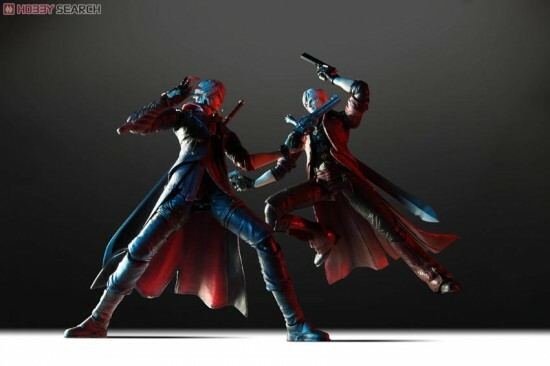 – [Devil May Cry 4] from the familiar to fans [Dante] is [Kai Play Arts] appeared in! – Face the bitter atmosphere of course, to pursue realism to the texture of the clothing, like a gimmick and the court put the motion to extend that we can pose! – Back [Equilibrium] can be burdened with. The coat can be movable vertically and horizontally. im live shah alam, i want buy dante, how ?